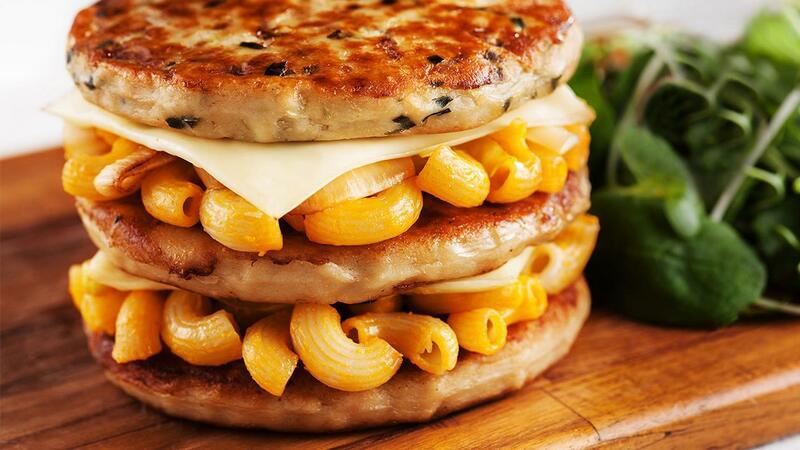 This reinvention of an American favourite combines a farm-fed chicken patty blended with vegetables for lightness and organic mac and cheese, baked rather than fried. On pot with boiling water, add extra virgin olive oil and little salt, cook Macaroni for 6 - 8mins al dente. Add Sauce Mix Cheese into water and dash of salt and pepper. Fill Macaroni and cheese (from Macaroni preparation) and emmethal cheese.